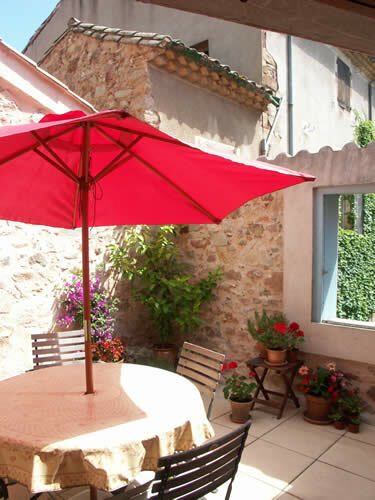 Enjoy this lovely old village house and converted stable built in the 1800s where the ramparts of the ancient walled village once stood. 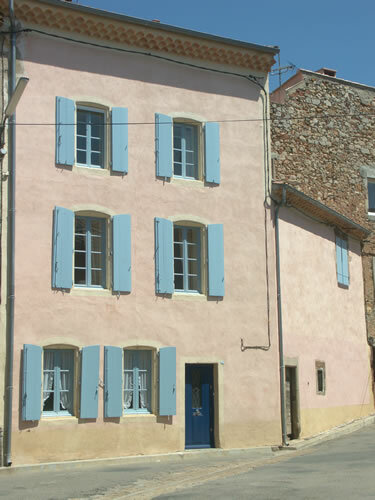 Today, with its pale rose façade and blue shutters, this spacious house faces down a wide village street with the surrounding hills in the background. 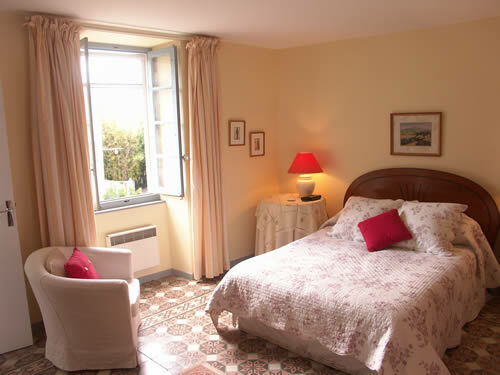 Aurélie offers high quality accommodation from which to enjoy life in the heart of a thriving French village. Ample free parking in the street or nearby square. Aurelie is a light and airy home from home, offering comfort, space and pleasant surroundings and comprises two separate living areas, including kitchen/dining, three bedrooms, two bathrooms, large laundry-room and terrace. 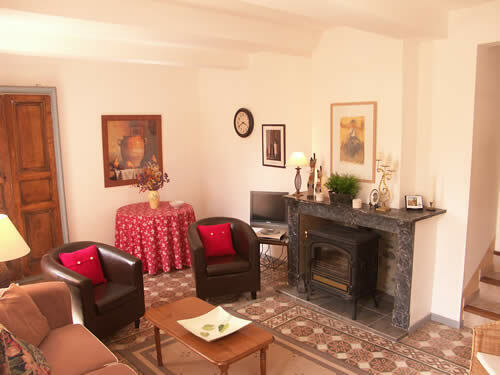 The house is well-situated, just steps away from the tree-lined market square and local shops. 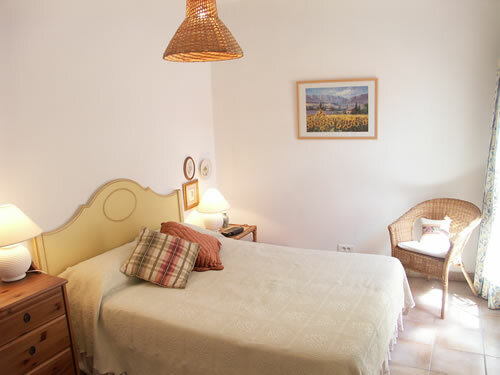 A few minutes' walk and you are following a path through the vines to a favourite cool swimming spot in the river Vernazobre or continuing on over a semi-hidden footbridge through a typical little hamlet and back home. At ground floor level, the hallway leads from the front door to a spacious, bright laundry room (equipped with washing machine, iron and ironing board and offering a large amount of storage space) on the left and, on the right, stairs to the first floor, the heart of the house, (2nd floor to North Americans). This floor comprises sitting room, large open-plan kitchen/dining/family room, shower room, terrace and the first of three bedrooms. 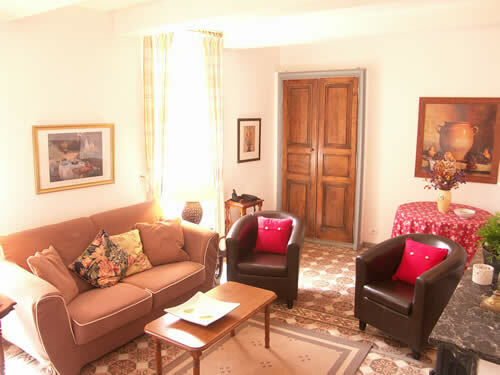 The sunny sitting room has been attractively furnished with a sofa and comfortable chairs and retains its original floor tiles and fireplace with wood-burning stove. Two large windows provide plenty of light. 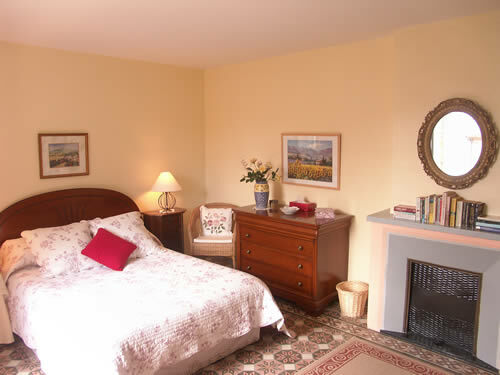 CD/cassette player, flat screen TV (Sky Free view satellite channels), DVD player, books, games and telephone are provided (outgoing telephone calls require a prepaid telephone card easily obtained locally). ADSL/Broadband internet access is available via WiFi. From the sitting room, to the right of the fireplace, three steps lead immediately into the converted upper floor of the old stable that adjoins the house to the rear. 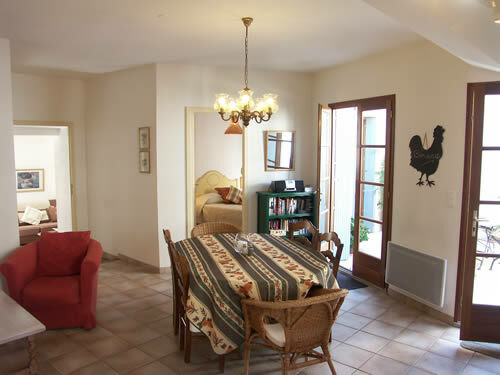 Straight ahead is the large kitchen/dining/family room and terrace; a new bathroom is on the right of the entryway and a double bedroom is to the left. The open-plan kitchen/dining/family room is large and welcoming and has two sets of French doors leading onto the terrace. 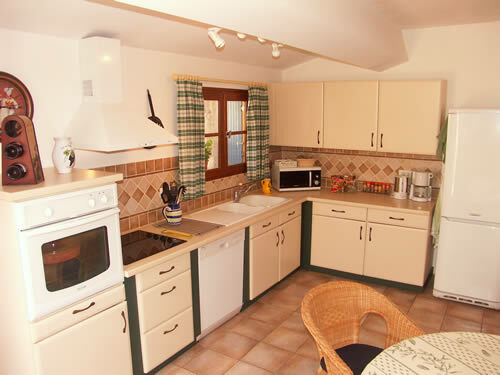 The kitchen area itself consists of a large L-shape of good-quality cabinetry and appliances, plenty of working space, ceramic electric hob (stove top), wall-mounted oven, double-sink with drainer, dishwasher and large fridge-freezer, microwave oven and the usual small electric appliances. The dining area has an attractive old round pine table and rush-seated chairs common to the region. 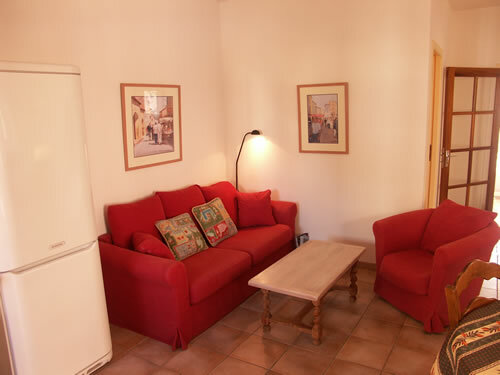 The sitting area has a comfortable three-seater sofa, armchair, wicker chair and coffee table. 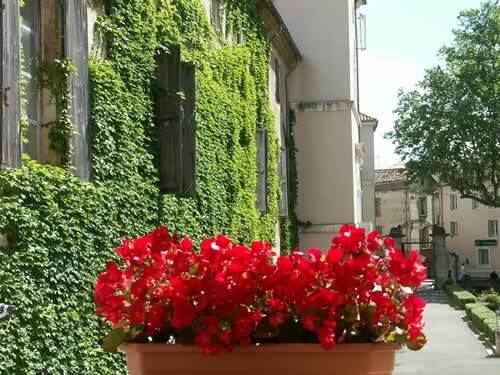 The terrace, looking towards the Mairie (Town Hall) and its gardens, is private and pretty with its three shuttered French doors on two sides and exposed old stones on the other two. Patio furniture. Umbrella. 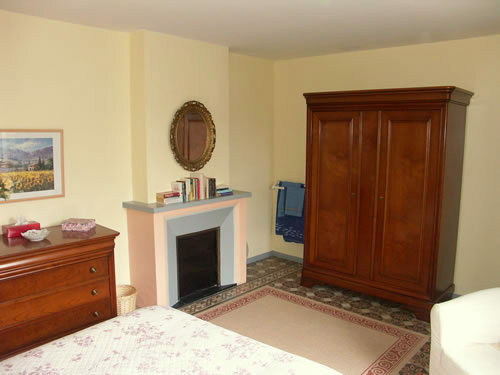 The attractive double-bedded room on this floor has a French door onto the terrace. 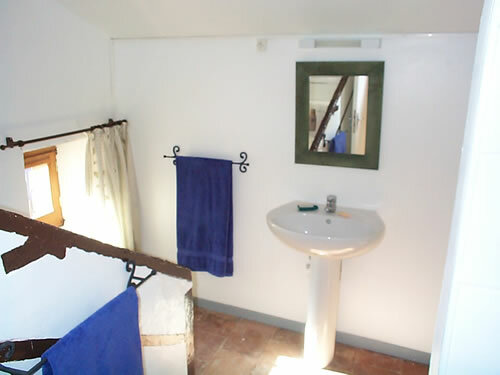 The bathroom is new with walk-in shower, wash hand basin and toilet. 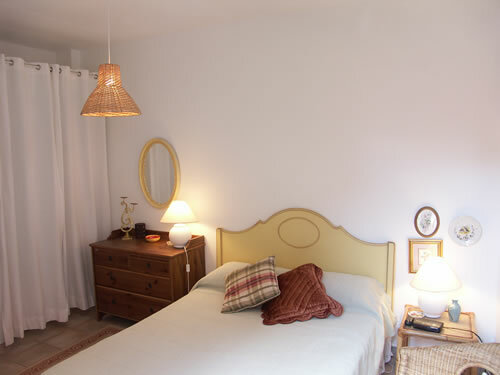 On the second floor (3rd to North Americans), the hallway leads to a pleasant, airy, double-bedded room overlooking the street with views over the rooftops to the surrounding hills. 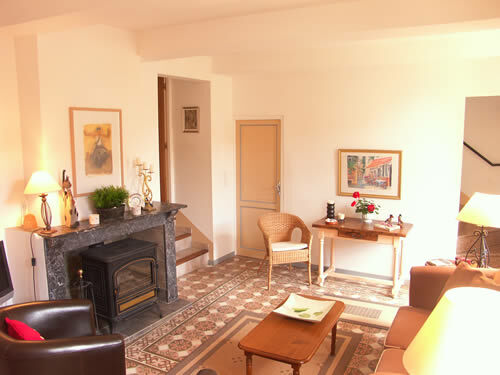 Original old floor tiles and fireplace. 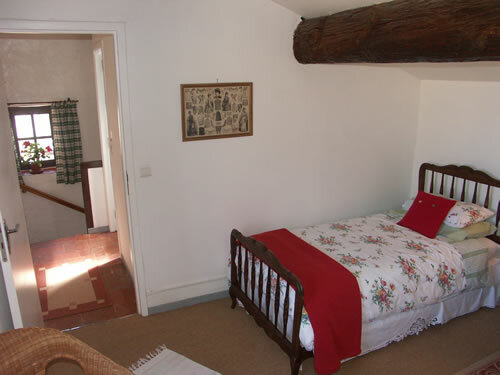 Stairs lead up from the hallway to a quaint, twin-bedded room looking to the rear towards the Mairie and its gardens. 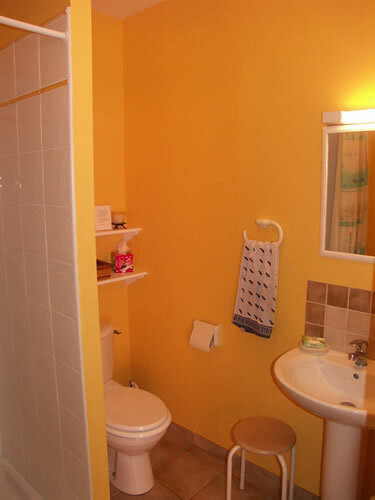 Adjacent is a new shower room with walk-in shower, wash hand basin, toilet, original terra cotta floor tiles and a half-flight of stairs going nowhere. 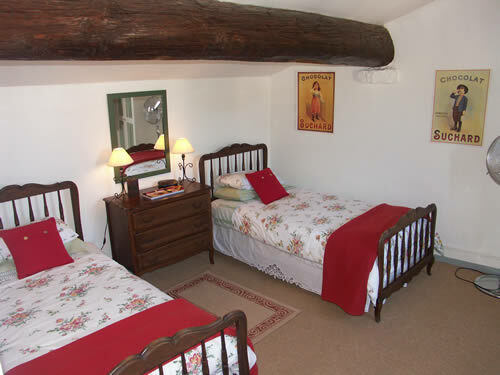 Two large, exposed beams run through the bedroom and shower room. Wall-mounted radiators add warmth in cooler months. The pretty terrace provides a spot on which to laze on those hot, hazy months. 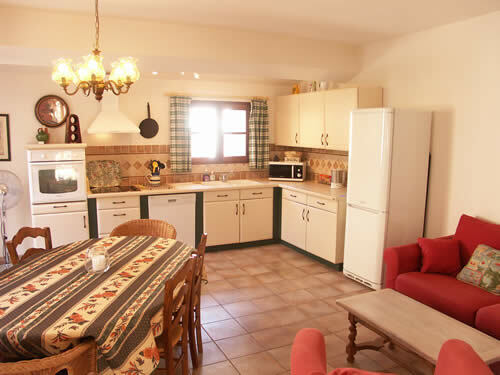 Aurélie is a comfortable, spacious house for a relaxing holiday and an excellent base from which to explore the surrounding countryside, villages and towns with its plentiful markets, restaurants and fascinating history. 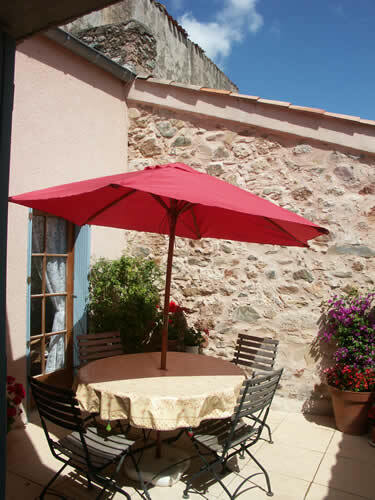 Read the "About Saint-Chinian and Area" section and plan to come to see what the area has to offer. Wonderful walking country. Hillsides covered in vines. Haut-Languedoc National Park on the doorstep. Beautiful drives with breathtaking vistas unexpectedly opening up. The coast, the mountains, the wine and so much more. Payment may be made by credit card via PayPal - a 4.2% surcharge towards costs will be applied. For payments from Australia and New Zealand please ask for details of fees.